Research from Parks Associates finds that 75% of smart home device owners consider their devices very valuable. 38% of people who don’t own smart home devices consider them very valuable. 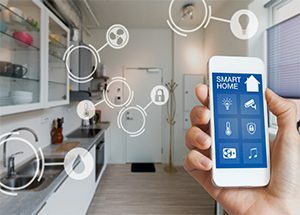 Since smart home device owners are generally satisfied with their devices, they are twice as likely to see the value of smart home devices than non-owners. Perceived value influences purchasing decisions. Prior to purchase, the value of these devices can be hard to grasp. Parks Associates’ “360 View: Crossing the Chasm: Smart Home Products and Services” concludes that referrals from friends and family members are a leading influence in purchasing decisions. Online reviews, product features, brand trust and brand familiarity also influence purchases. 11-13% of US broadband households have a Smart thermostat. Smart speakers with voice assistant adoption increased from 3% in 2016 to 31% by the end of 2018. Nearly 33% of US broadband households have a connected device that can be accessed or monitored remotely. To view Parks Associates’ “360 View: Crossing the Chasm: Smart Home Products and Services” report, click here.